Classes! Get Your Fall Classes! Katherine Cerulean and the Athens Writers Association are proud to announce four new FREE classes this fall! These “super-size” classes will be on some of the most requested topics and feature expanded bonus features. NOTE: All classes will take place at the Athens-Clarke County Library in Multipurpose Room C.
AWA founder and all around good egg Katherine Cerulean (who writes many of these posts 😉 ) will teach all four classes. Next up: 10 Tips for Building Believable Love Stories! On Saturday, November 11th, 2017 at 3:00 pm. All the great info from our popular class and article with an added bonus! This class explores how to turn a common romance into something extraordinary. Readers love love stories! But all too often we writers fall into either redoing the cliches we’ve seen a million times before (tripping and falling into a love interest’s arms), or we imbue the relationship with pat, uninteresting emotions and flawless characters. And yet in our real lives — and favorite fiction — people are rarely flawless, situations rarely perfect, and it is those exact qualities that draw us in and make us fall in love. Your story deserves no less of a happy ending! We will discover how to make your characters interesting and unique, create realistic obstacles for their happiness, and make audiences root for the couple’s perfect walk into the sunset (cancel that cliche — walk into the Frogurt Shack). NOTE: This class is about improving a love story in any medium and genre. I’m not a genre Romance writer and so don’t know the ins and outs of that particular field; but a relationship you can believe in helps in any genre. Bonus: Email me at katherinecerulean@gmail.com by October 28th with a one page description of your characters and/or story and the first five will discussed and your questions answered at the end of the class. Next, move from the big questions about your writing to the even bigger questions about your life! How to Reevaluate Your Life is inspired by the most popular post on my blog and will take place on Sunday, December 9th, at 3:00 pm. There comes a time when you realize your goals and plans may no longer be in alignment with your life and actions. You may feel lost, discouraged, and even wonder just what would make you happy anymore — THIS IS ACTUALLY A WONDERFUL PLACE TO BE IN. When you realize you’re ready for a change, you can begin to look at your life anew, discovering what parts you really love and what ideas and situations you have outgrown. We will explore how to rediscover your passions and purpose, figure out which relationships are helping and hindering your journey, discuss simple ways you can begin to improve your life today, strategies for evaluating your life during the holidays, how to turn obstacles into advantages, and why where you are at this moment — standing here in frustration and uncertainty — is actually the best place in the world you could be in, and the start of your awesome, Hero’s Journey. NOTE: This class focuses on evaluating where you are and what would improve your life. For more concrete planning, rejoin us in one month for 2018: Goal-Setting and Amazing Success. Bonus: Email me at katherinecerulean@gmail.com by November 28th with a one page description of your life/issues/challenges and hopes and goals. The first five will discussed (without using your name or personal details if you wish) and your questions answered at the end of the class. Lastly, after you’ve reevaluated your life, you may need some new goals. Join us in the new year for an explosion of excitement and list-making (!). 2018: Goal-Setting and Amazing Success will help you start strong and stay on track. Join us On Saturday, Jan. 6th, 2018 at 3:00 pm. Come with your “Big Dream” and learn how to figure out the steps you need to take, and how to break your objective down into monthly, weekly, and daily goals. Discover how to stay on track, create the life of your dreams, turn obstacles into advantages, and knock the new year out of the park! Katherine has written three screenplays, six novels, a self improvement book, dropped three sizes, traveled to Europe alone, started a writing association, edited two collects, and set up public events for her group, and gotten rid of 90% of everything she owns. And she wants to help you do all that and more. Come pick her brain and learn how your past failures have only helped teach you how to be ready for success in 2018! BONUS: Sign up at the end of the class to email Katherine once a month for the next six months to ask questions and work through new challenges. A FREE life coach in email form! 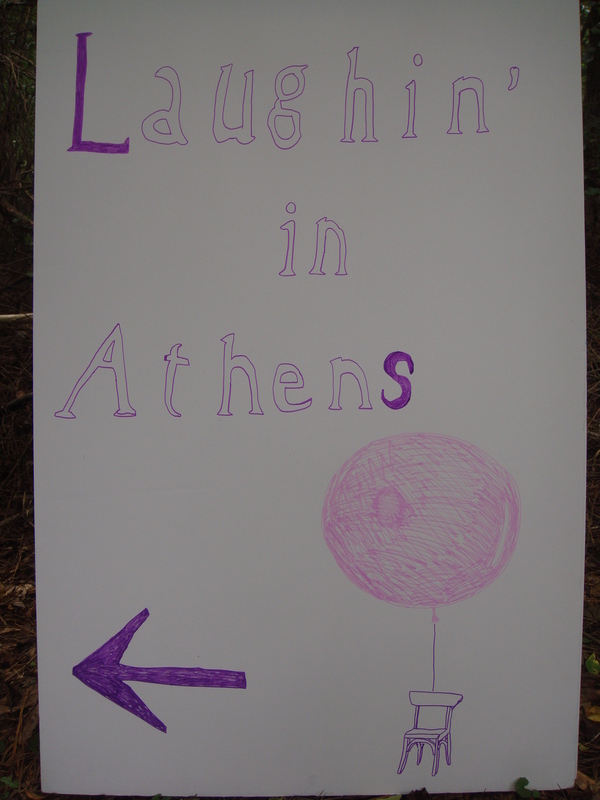 Posted in Athens GA and tagged Athens, athens ga, Athens Writers Association, Katherine Cerulean, local writers, new years goals, Self-Published, Self-Publishing, upcoming events, writers, writing, writing events. Bookmark the permalink. Welcome to the fourth in a series of interviews with Athens-area writers. The hope is to inform you about new techniques you might want to try, increase your knowledge of the individuals in your community, and inspire you on your path. Please contact me if you’re interested in answering our writing questionnaire and being featured here as a future ‘local writer’. First of all, I’m honored to answer these questions for the Athens Writer’s Association. Thank you for this opportunity. The simple answer is: I don’t know how not to be a writer. From an early age, I enjoyed writing, beginning with silly childhood poems and moving onto teen angst-y kind of poetry about the passions of young love, the tribulations of separation and rejection, as well as parental friction. In high school, my English teacher told me, “Whatever you do in life, make sure writing is a part of it.” I never forgot his advice, but also didn’t take it completely to heart, until rather recently. Instead, I entered the public policy field, which required an abundance of writing, although of the academic and technical kind. However, the profession, and my series of positions, was less than satisfying. The turning point came when a dear friend of mine committed suicide in 2009. The event changed my life. I pondered questions deeply. Are you satisfied with your life? What do you want in life? A meeting with mortality has extraordinary potential for setting and/or redirecting the course. The night of his passing, I sat down and words poured out of me. More specifically, I felt his words poured through me, as if I was a vessel for his story. It was the first time in many years that I allowed inspiration to flow without the internal editor questioning and sculpting and rearranging. I realized how much I wanted and needed to write. For the past seven years, I’ve dedicated myself to practicing, learning, and growing as a fiction writer, a bit of a rewiring, if you will. At this point, I consider myself a writer, but the next step is becoming a published author. My all-time favorite is Gabriel Garcia Marquez. I’m enamored of his reporter’s style and the atmosphere he creates in his settings. Most of his work is set in revolutionary Colombia, but the applications and connections are universal. I can imagine his stories taking place in the Civil War-era United States, for example. I enjoy his lesser known works, the novella entitled ‘Chronicle of a Death Foretold,’ and ‘The Autumn of the Patriarch.’ Garcia Marquez’s calling card is magical realism. I love how he weaves the material world with other realms and I’m grateful I discovered him early in my writing journey. Another favorite is Hunter S. Thompson. In a sense, he’s similar to Garcia Marquez but opposite. Garcia Marquez makes the unbelievable feel real, while Thompson had a penchant for making the real feel unbelievable. His brutal telling of politics and public policy beginning in the 1960’s serve as reminders of where our country was at the time and warnings about where we’re going. A third author I’ve learned from is Dennis Lehane. It’s strange, because I don’t find his books overly entertaining, but I’ve taken cues from his works about grounding my settings and developing pace. Incorporating elements of Lehane’s style provides a certain balancing mechanism to the atmosphere and lyrical beauty of Garcia Marquez and the vitriolic, face-smashing prose of Thompson. 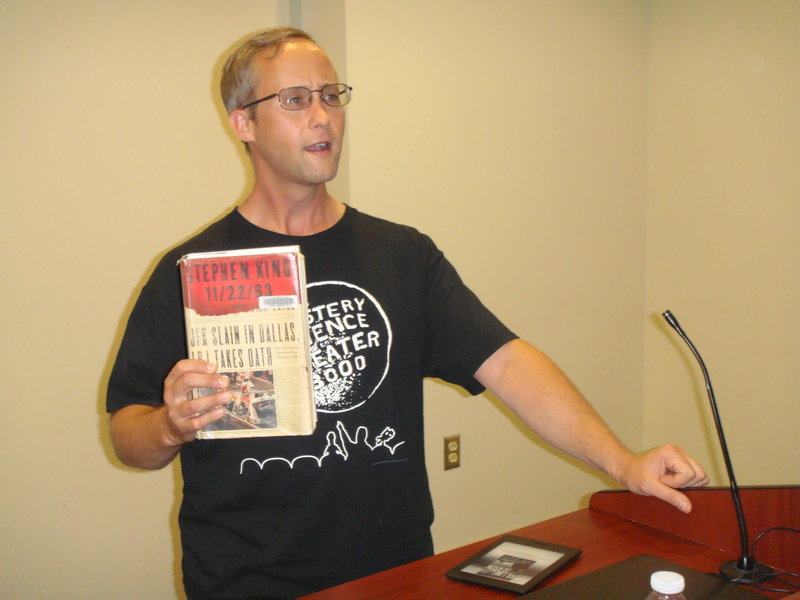 Other inspirations include Flannery O’Connor, William Faulkner, and local author Eddie Whitlock. I also like darker writers like Edgar Allan Poe and H.P. Lovecraft. Some call it horror, but I see it more as the shadowy side of our subconscious selves. Two pieces come to mind. First is the first short story I had accepted for publication in 2013. ‘Snout of the Alligator’ appeared in an anthology of “new” Southern Gothic by a small publisher in New York. I still keep in contact and receive advice from the editor. Opening the acceptance email was a profoundly rewarding and motivating experience. As writers, we spend so much time alone with our thoughts and characters, and little victories along the way serve as motivation to continue. ‘Alligator’ began life as a chapter in the novel inspired by the life and death of my friend who committed suicide. He made a big impact on my shift to a writing life, so it feels fitting that my first publication was inspired by him. The second piece is the novel I completed last year, ‘We Were Hungry.’ I’ve written four novels over the past few years, but none satisfied me enough to submit to agents or publishers. When I finished ‘We Were Hungry,’ I felt for the first time that I’d written the book I really wanted to. I’ve always wanted to give readers a similar feeling to the atmosphere in Garcia Marquez novels, and for the first time, I felt I was in the ballpark. Not a home run, or perhaps a base hit even, but watching the game from the bench, at least. Determining genre is a huge challenge for me. My writing isn’t formulaic, but genre is extremely important when self-publishing or querying agents and publishers. As humans, we love to categorize, and fiction is no different. My style has been called “dark but hopeful,” so I wish that was a genre. I enjoy reading thrillers, magical realism, Southern Gothic, some dystopian, and what they call literary fiction (I’m still unsure about what that means, exactly). The English teacher mentioned above read one of my pieces and called it: “Hunter S. Thompson meets Edgar Allan Poe with a twist of Bram Stoker,” and I can live with that, but must also keep pushing and redefining those boundaries. My stories are psychological, about what pushes humans to the edge of their own minds and what either pushes them over or pulls them back. My protagonists are often people viewed by society as different or outcasts. Schizophrenics, addicts, war veterans, and others who are often marginalized. Society casts wide nets of judgment about those perceived as different from the status quo. But at the essential core, all humans are on a journey and have unique stories regardless of the circumstances surrounding their lives. I believe the health of a culture is mirrored by how “the outcasts” are treated, and when I look at our culture, the image in the mirror isn’t pretty. Everyone deserves a voice, and I hope my writing honors those who rarely have one, and that it’s accomplished within a story that is entertaining, thought-provoking, and dashed with some humor. After all, a bit of humor helps us take ourselves less seriously. 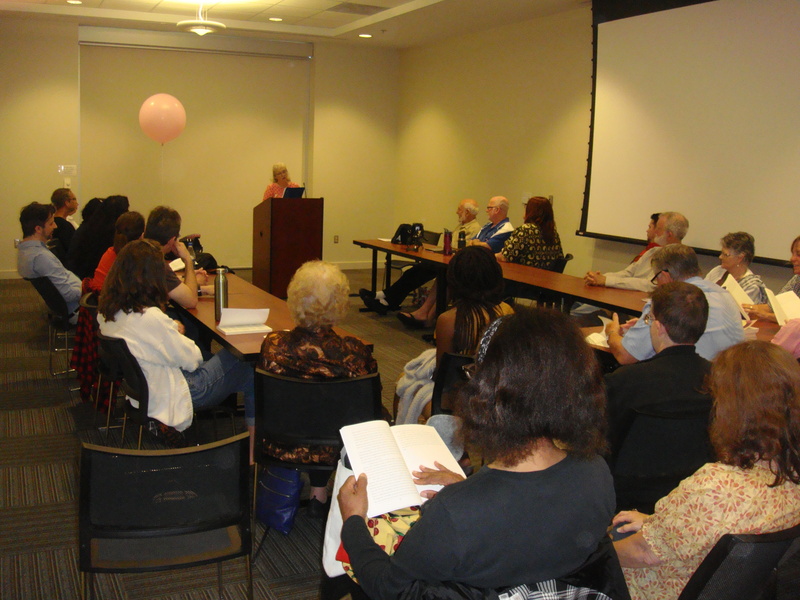 I’ve attended the Atlanta Writer’s Conference. 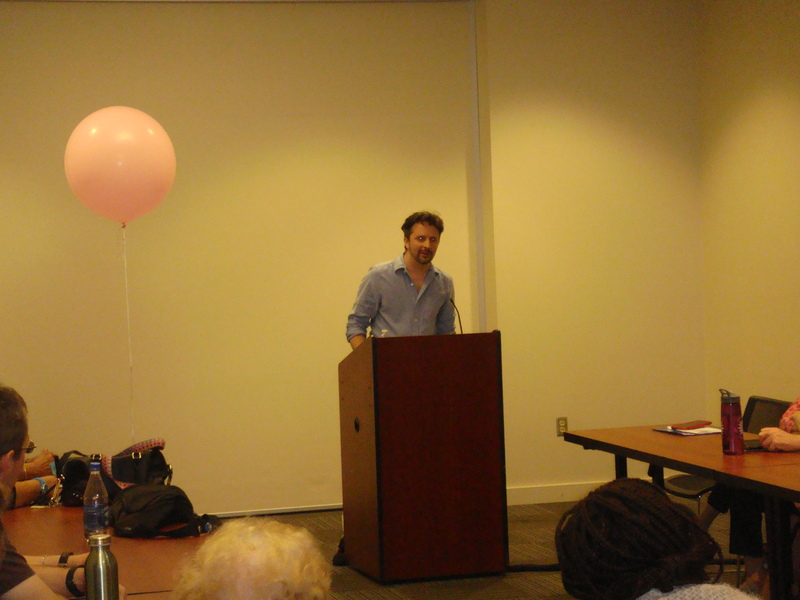 The best part was being surrounded by other writers, networking and making contacts, and comparing experiences. The icing on the cake was presenting my work to editors and agents and receiving feedback, which is next to impossible with online querying. I urge anyone who is serious about publishing to invest in yourself by attending a conference. 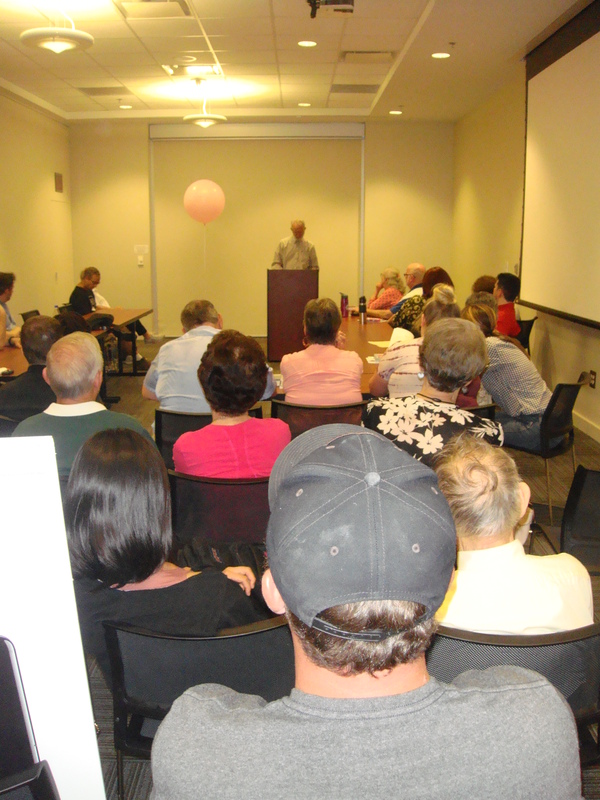 The Athens’ Writers’ Association provides presentations and reading/writing groups, which are great sources for meeting fellow writers, motivation, and feedback. In the past five years, I’ve worked a few freelance jobs for magazines, writing articles on organic gardening, crystals and minerals (I co-own a mineral and jewelry business with my partner/wife), and the practice of gratitude. One was a lifestyle magazine in Nepal—a friend of mine was the editor—and that was pretty cool. I’ve also had short stories published in online journals and in two short story anthologies. I’ll answer this question in two ways—process and writing routine. Process (how my stories come to life): Writers, in so many ways, are social and cultural observers. Often, I find my story ideas by observing people, overhearing conversations, or reading newspapers. For a writer, just about anything can become a story! The first part that comes, typically, is a character, so I spend time with that character in my head, learning how he/she would handle a situation. If I’m open to the character and his/her journey, they’ll often lead me to the setting. Sometimes, I’ll write a short story about the character to better familiarize myself with them. This begins the process of identifying conflicts and eventually pushes forth the inciting incidents which move the story along to its completion. This is where inspiration turns into effort and perspiration. Routine: Each story is unique and, in my view, each story requires its own rhythm. I recently read an interview with Dennis Lehane that resonated with me. He said he doesn’t like routine because it breeds a dependence on formula. I don’t have a daily routine, but I do give a certain amount of energy to writing each day. Depending on the work in progress, I might rise with the sun or write in the evening or through the night. I try to be open to what the story and characters need at the moment, and each one, so far, has been different. I usually have at least two queries out, whether for novels or short stories. Overall, the most challenging area is time! As a father and business owner, the time I can devote to writing is somewhat limited, so I have to make that time count. I’ve learned through experience that writing is “ten percent inspiration and ninety percent perspiration,” although ten percent might be too high, perhaps more like five-ninety five. As for the writing process, editing as I go is a challenge, and one, I believe, magnified by computer software. For me, it’s important to brainstorm the story to completion before the sculpting and editing begins. I’ve found that writing the rough draft, or at least parts of the rough draft, with pen and paper keeps me in the present moment and allows the story to finish before the analysis begins. As for the business of writing, my biggest challenge is marketing and building a platform. I want to write, not try to sell my writing, but the current environment is one of self-promotion. It’s the way of the world in the age of social media. I’m revisiting some short stories, tweaking them with an eye for developing a short story collection. I’m also working on a novel about a man who may or may not have schizophrenia. If you feel the urge to write, do so without hesitation and without holding on to the ultimate results. Your stories are important! Even if you’re the only one who ever reads them. If you love writing, you owe it to your deepest self to get it out. Do it for the love of writing, or because you can’t help yourself, or as a form of therapy. Tell your story! It’s the best way I know how to connect with myself, my longings and challenges, the way I interact with the world around me. Everyone has a story to tell, and writers are the chroniclers of their time. If you want more than self-reflection and satisfaction, read books on the craft of writing, attend workshops, join a writing group, and when you get really serious, delve into the business of writing. It’s not my favorite part for certain, but if you want to publish successfully, an understanding of the writing market is crucial. READ! Allow the books you enjoy, and the ones you don’t, to inspire and influence you. You can learn a lot about your own writing by reading the work of others. And…don’t discount the time you spend in contemplation sitting in front of the screen for minutes, maybe hours, on end. Those moments are when the gears are grinding inside your mind, and hopefully, they lead to something satisfying. Committing to writing and publishing has shifted my life to a more creatively-inspired one. Writing has always been my favorite and most successful form of communication, so intentionally focusing on it drives me to learn and develop more. My desire to live a writing-focused life inspired the development of a small business, so I could shift my attention from nine-to-five office existence to a more home-based life, which in turn, allows me to spend more time with my son. Writing allows the time for reflection and contemplation, and helps me come to terms with myself, the world, and my journey. It allows me the opportunity to give a voice to those who might not otherwise be heard, and I don’t take that opportunity lightly. And hopefully, I can provide an entertaining, thought-provoking story to make a reader’s life a little bit better. Planting seeds and singing songs. Thank you and happy writing (and reading!)! Posted in Writing and tagged Athens, athens ga, Athens Writers Association, Charles Beacham, downtown Athens, Eddie Whitlock, friend of mine committed suicide, Gabriel Garcia Marquez, Hunter S. Thompson, local writers, mental health, Self-Published, Self-Publishing, We Were Hungry, writers, writing. Bookmark the permalink. Submissions are now closed for our new comedy collection and — WOW. We had over eighty pieces (counting each poem separately), from forty writers, adding up to over 60,000 words! That’s incredible. Our previous collections only had 22,000-25,000 words submitted. Thanks to everyone who got the word out; we’re especially indebted to Jill Hartmann and Jennifer Innes for their tireless help. And many thanks to all who shared their wonderful pieces with us! For those who submitted, you will be contacted by the end of May to let you know if your piece has been accepted. We have a panel of experienced writers as our content editors and they are now busy reading through all 60,000 words (I think they ended up with more than they bargained for!). And we’ve already read some WONDERFUL pieces. The editors will meet in May and hash out the layout, tone, and submissions to accept for this collection. We are striving for a coherent book, so know we may end up cutting pieces of good quality if they don’t fit in with the stated theme (funny) or with the other accepted submissions. If your work’s accepted, you will be asked to write a short bio and return to us a formal agreement allowing us the right to publish your work in our collection (you’ll retain all rights to your piece). You will receive one free copy of the paperback book that you can pick up at an future AWA event. You’ll also be able to buy as many wholesale copies for your own use as you’d like. For everyone else, our plan is to publish the paperback on Createspace in late summer/early fall, and to have a public reading of some of the selected pieces in Athens. Please make plans to attend our event to hear these wonderful works and to just come hang with your fellow AWA writers. And if you’d like to check out the collection on Amazon or in local stores and consider buying one, that would be awesome too! More details will be posted on this website as the publication date nears. How exciting! And what a massive response from the Athens community — we are touched, and excited to watch this project come together. Posted in Athens GA, Writing and tagged Anthologies, Anthology, Athens, athens ga, Athens Writers Association, books, collections, downtown Athens, Jennifer Innes, Jill Hartmann, local writers, putting together a book collection, Self-Published, Self-Publishing, writers, writing. Bookmark the permalink. Welcome to the third in a series of interviews with Athens-area writers. The hope is to inform you about new techniques you might want to try, increase your knowledge of the individuals in your community, and inspire you on your path. Please contact me if you’re interested in answering our writing questionnaire and being featured here as a future ‘local writer’. Question: At what point in your life did you become a writer and how did you first know you wanted to be a writer? Answer: I actually became a writer because of two episodes of a science fiction television series called Star Trek : Deep Space Nine. One of the characters, Jake Sisko, found that his passion was writing and it became a story line that followed throughout the entire run of the series. Jake’s mother had been killed early in his life, so it was just him and his dad, Ben. Ben was very supportive of his son’s hobby turned profession – particularly early on, it was something they bonded over. I’d recently lost my own father when I saw this, and I decided that by writing, I might bond with him as well, so I took it up. Q: What books have you read that shaped you as a writer? Which authors’ work do you admire and why? A: My favorite author is Lee Child. I have read several of his ‘Reacher’ series of books. In particular, his book ‘The Enemy’ is my favorite. It was written in a first-person perspective that I found really inspiring. It gave an intimacy to the story that I had never really run into before. I’ve since adopted first-person as my primary perspective for storytelling. ‘Star Trek: Best Destiny’ is my other favorite. In the story, a young (and troubled) James T. Kirk connects with his father while having an adventure and saving the day. While I definitely connected with the book on a personal level, a friend called it ‘a commentary on people’. That phrase has really stuck with me – my dearest hope is that I’ll one day write a book that is referred to in that same way. Q: Which piece that you have written are you most proud of and why? A: The honest answer would be the one I have thought up but not written yet. The truth is, I don’t feel like I’ve developed yet to a point where the reality of my work meets my dreams, so… The dream is more fun. But, as I said, I assume you are looking for a different answer. “Ben and the Snow”, one of the stories from my Christmas anthology, is my favorite. In the story, a man is trying desperately to make sure his wife can make it home after she’s been gone for longer than either of them would have liked. Near the end, he believes he failed, and to be honest, my eyes still tear up when I read that moment of profound sadness as he lives it – he just wants to see the woman he loves again. And then she shows up. How can a story get any better than that? A: *Grin* I’ll be honest, a lot of my stories are ‘Chick Flicks’. I also definitely gravitate toward short fiction – very few of my stories even make it to twenty pages. In fact, I’ve been flirting extensively with my version of ‘flash fiction’ where a given story is about 250 words, and I really enjoy it. My passion? It would be the stories that surround ‘The Ticonderoga Project’. We’ll see if I pull it off, but it’s the story of Earth’s first interplanetary spacecraft. In its whole vision, I’d like to see it tell the entire tale of the ship’s life, from the conception of the idea to her trip to the scrapyard once her day is done. Q: Have you studied writing and/or attended writing seminars, workshops or conferences? Where and what did you learn from your classes/sessions and other writing teachers? Did any of them stand out to you and why? A: My wife sent me to a writing conference at DragonCon. There were several speakers – it was a great experience. The two things I learned that I consider to be the most valuable were (first) HIRE A PROFESSIONAL EDITOR! I took this advice, and it was an incredible experience. Sure, I learned a lot about my bad habits as a writer – grammatical errors, plot issues, annoying habits… The one-on- one personalized interaction was very helpful, plus, I have the comparison of my version of the work to compare with the edited version so I can go back and learn from the changes a professional advised. But, moreover, to hear someone I respect tell me that if I logged the hours to improve, I could really succeed as a writer was incredibly motivating. The second piece of advice was ‘Develop Your Brand’. There were a multitude of ideas presented, but the thrust of it is, get your name out there. Build a website. Interact with people. Join groups. Support people. Accept support from people. My ‘Brand’ is Ticoproject, as an example. 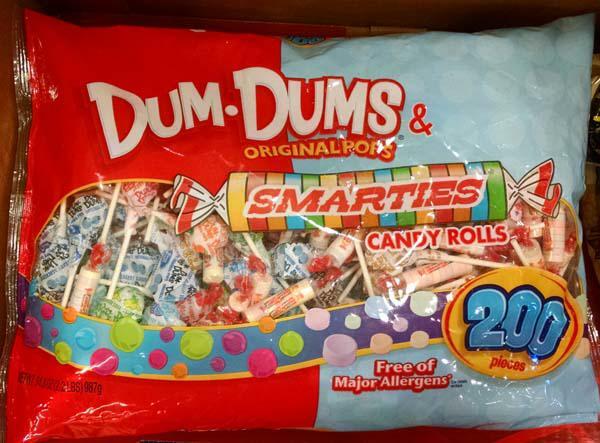 I even have a little story drafted to explain where that exact name comes from. Some day there needs to be a ‘Crest’ or ‘Symbol’, maybe toys… But… Yeah… Develop your brand. Q: Have you had any formal writing jobs and/or published any of your work? If so, tell us about your jobs and/or your publications. A: Nothing formal. Most of my work so far has been given away in one form or another so far. Honestly, I don’t feel like my work is far enough along to expect people to pay for it yet, so the bulk of it is released on my website, while I have been able to join an anthology for a writer’s group I was a part of in Wisconsin. Getting people to read something for free is much simpler than expecting them to pay, and some of the feedback I have received has been most encouraging. So… It’s been great. But, I’ve also grown to the point where I’m ready to think about how to publish some of the things I’m working on. It’s exciting to think about the future where I can really see my work in a book somewhere. Self-Published or traditional is still up in the air, but it will happen. Q: What is unique about your writing process? What works for you, and what doesn’t work? A: I’m a little ADD (Undiagnosed – *Grin*), but I’ve learned that if I don’t stick with one project, I’ll pretty much never finish it. So, I might peel off to do a bit of flash fiction which happens in a few hours, but I try hard to work one thing until it’s done. One draft, one rewrite, whatever. I don’t do well typing straight into the computer. I think for me, there are too many distractions, and paper both looks less intimidating and feels great, so… I write most everything out longhand and then enter it into a word processor as my first editing step. I listen to a variety of music, and it seems to serve as an inspiration for many of my story lines. Trust me, the fact that I’ll never sing publicly is a service to humanity, but I really respect the art form. As a point in fact, I was just listening to some Eminem on the way home. There is some great rap out there, and ‘Stealing the Enterprise’ has more plays on my iPod than most anything. It all helps. Q: What is the most challenging area of writing for you? A: Ah, finally, an easy question. Editing. I don’t like it at all. It’s painful to re-read some of my earliest efforts in particular. Working with an editor taught me how much I can improve from the process. I’m the first to acknowledge that I’ll always need the help of a professional, but I’ll learn more if I improve my editing. Q: What are you currently writing? A: I’m working on the second draft of ‘The Deeds We Do’, which is my tale of Captain Allison Mackenzie’s adventure aboard the U.P.E. Ticonderoga, Earth’s first interplanetary spacecraft. I like to believe she’s a strong leader that my wife would approve of, and you wouldn’t mind if your daughter admired. Just for fun, I’ll tell you this – I created her on a dare from a friend. Q: What advice do you have for someone who is just beginning to write? A: I was really bad when I started. I am better, but I still have a very long way to go. Two things have helped me to improve – I’ve sought out the support of others, and I’ve practiced. I’ve read a few books, gone to one seminar, but when the writing hit the paper it was because I picked up a pen and started writing. Start writing anything and just don’t stop. I wouldn’t have believed it, but it will come. You’ll figure it out as you go along. Q: How has being a writer changed your life? A: I’m pretty anti-social when it gets right down to it. I have to force myself to want to be around other people, so you’d think writing would be all reclusive for me. It has actually been very much the opposite. I think a lot about things before and during the process of writing. That thought process has helped me to see when I should have turned left when I went right (a great number of times), when I shouldn’t have said something (again, a great number), and when I should have (let’s not even get into that). All of that introspection has made me more considerate of the trials and tribulations of others in the world. I see people differently because I write about people, and it’s made me a more understanding person. The other change has been because of the people I have connected with. I’ve been involved with writer’s groups in two different states, and off and on, and received comments on my work from complete strangers around the world. Those interactions have been amazing. The people that have allowed me to exchange ideas with them, supported me, and allowed me to support them are the best. I’m a much better (and happier) person because of the people writing has put me in touch with. Posted in Writing and tagged Athens, athens ga, Athens Writers Association, Eric McMurtrey, local writers, Self-Published, Self-Publishing, Star Trek, writers, writing. Bookmark the permalink.